OPEN HOUSE CANCELLED. 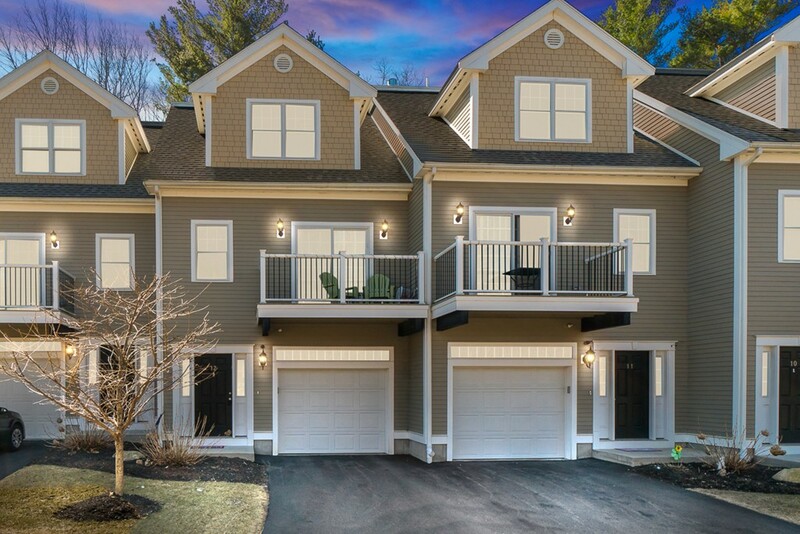 3 level, modern Townhome located in the heart of North Reading and close to Ipswich River Park & schools. Park in your private 1 car garage with direct access to your home.The ground level greets you with a welcoming foyer and houses its own den/office, full bath and private back entrance; great opportunity here for overnight guests or au pair suite. Open floor concept on 2nd level between living room, dining area and kitchen. Relax opposite your gas fireplace or on your private balcony overlooking the Ipswich River. Upgraded kitchen has recessed lighting, granite counter tops, stainless steel appliances and plenty of cabinet space along with a delightful island with bar stools. 3rd level master bedroom is of good size and has a walk in closet with personal organizer. In unit laundry, security system, hardwood flooring, extra parking space outside garage. Private back yard, 10x10 brick patio with gas line for your BBQ grill. Off site professional management.